About a year and a half ago I started to a new blog just for writing about my RV. My reason for doing this was that I might start interacting with other RVer’s through the blogging world, and I really didn’t want to point a lot of strangers to my 10 year old family blog. I don’t mind if people stumble upon it, but the content is probably not going to be interesting to people who don’t know me, and if it is… well, that’s just weird. So for any of my readers of this blog who are interested in following my RV adventures, here is the link. You can go back and read my early entries when I started thinking about what kind of rig I wanted to buy, and on up through now. I may occasionally post RVing entries here, but will rarely post family or non-camping activity there. 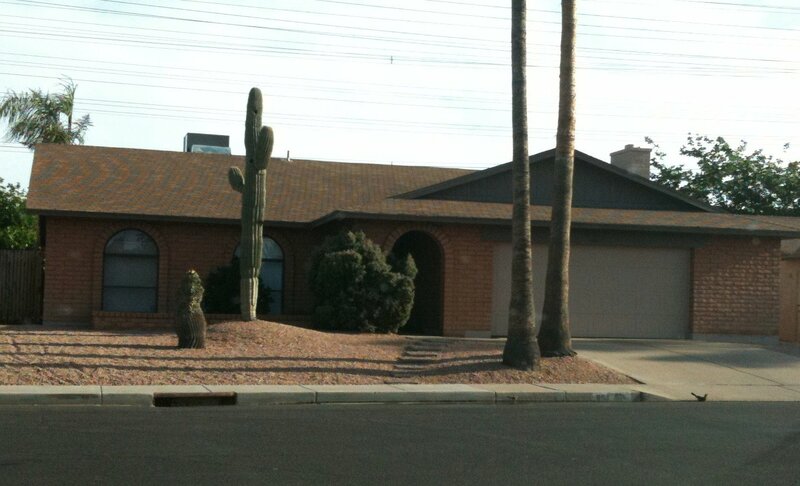 Rest in peace, my beautiful majestic Mr. Saguaro. I’m sorry I couldn’t protect you from the idiot who decided to drink and drive on Monday morning. He totally missed seeing the stop sign at the end of Extension and also missed seeing that there was a house directly in front of him. 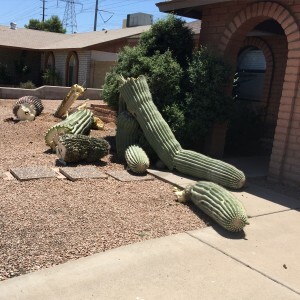 He slammed into the block wall, then careened into both cacti, taking them out. 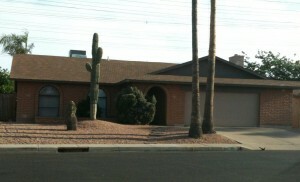 If the neighbors hadn’t stopped him, he would have run, but they detained him until the police arrived to arrest him. Of course, he had no insurance. I made a claim on my homeowner’s police, but they won’t give me the full value of the cactus because I have a maximum limit per plant. They will go after the driver for the money, and so will I, trying the recoup the $2000 difference.